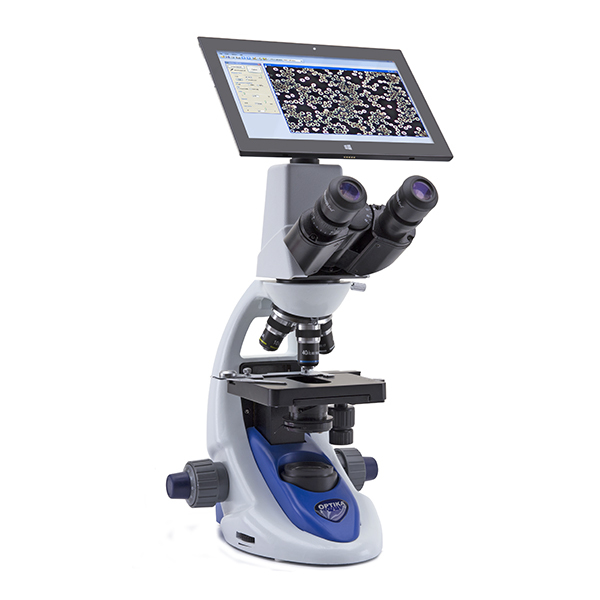 OPTIKA B-190 Series is a perfect fusion between decades of experience in educational microscopy and a new, refined design. 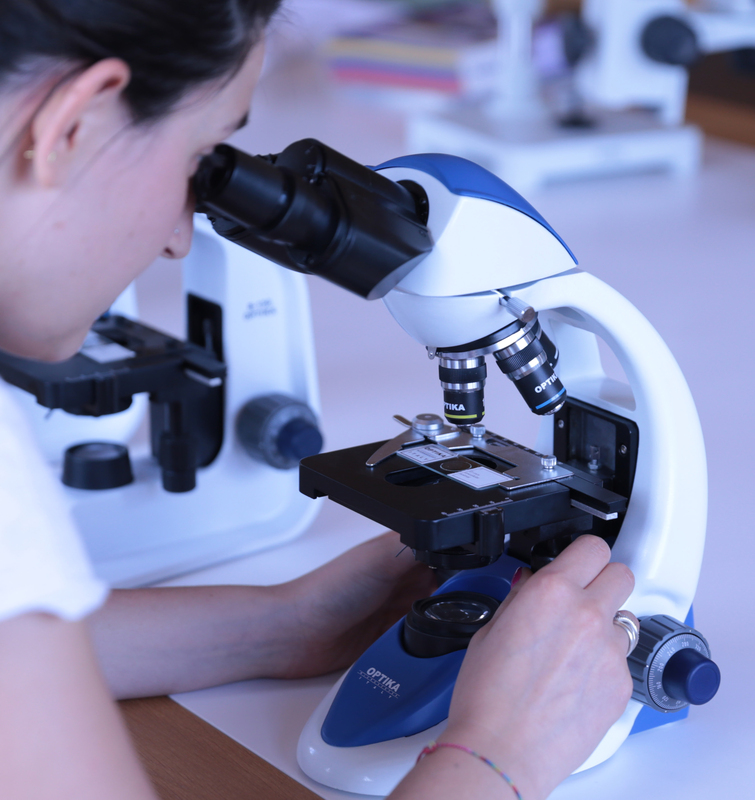 The result is this advanced biological microscopes for students representing our product philosophy at its best with the combination of quality, reliability and innovation, all in one. 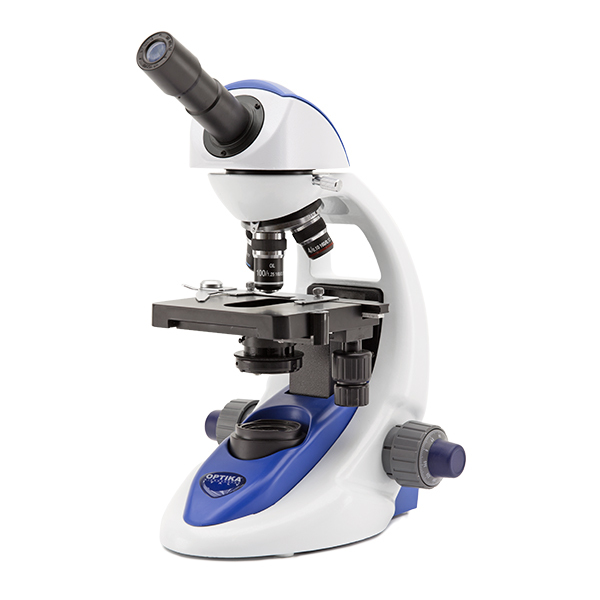 Fulfill the next generation learning challenges with this original, compact and robust series incorporating the most wanted features in a student microscope (18mm field number, 1000x maximum magnification, translating stage, coaxial focus knob, adjustable condenser, and the exclusive X-LED² illumination). 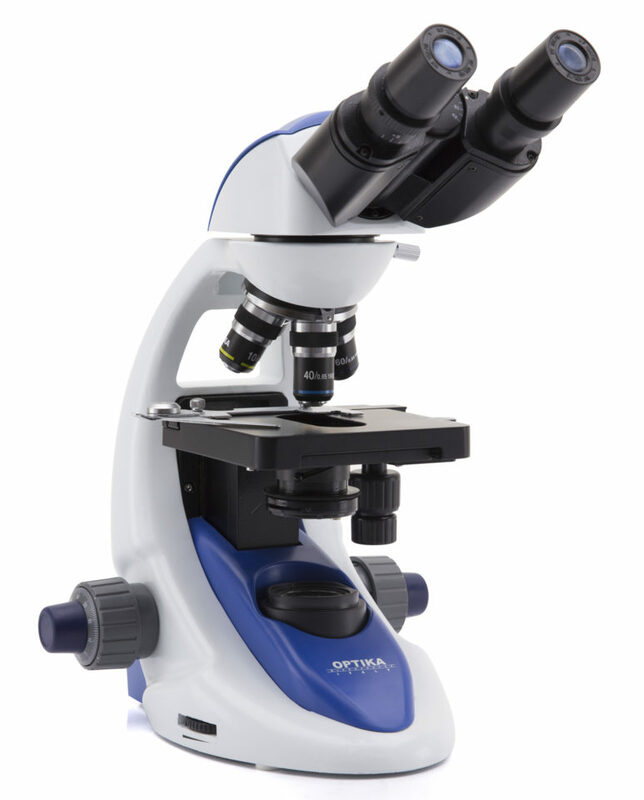 B-190 Series is the answer of OPTIKA Microscopes to the challenge of the future in the educational field. 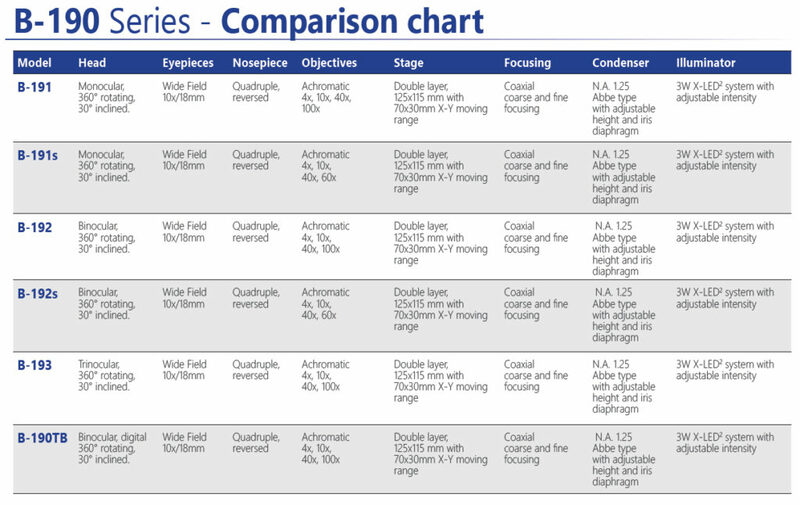 » Achromatic lenses for standard brightfield applications. 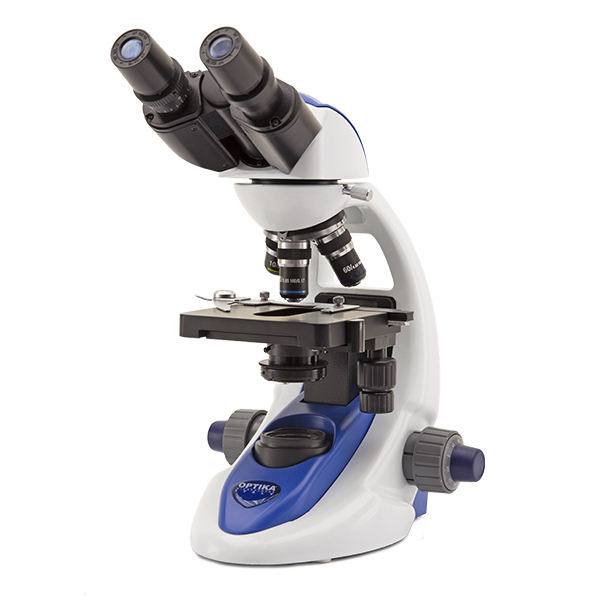 The B-190TB offers you a unique, incomparable solution. It includes a built-in camera of 3Mp and a Windows tablet with large touch screen, for a responsive and smooth control. Simultaneous camera and power connection ensure long-term operation, with dependable results in one click. 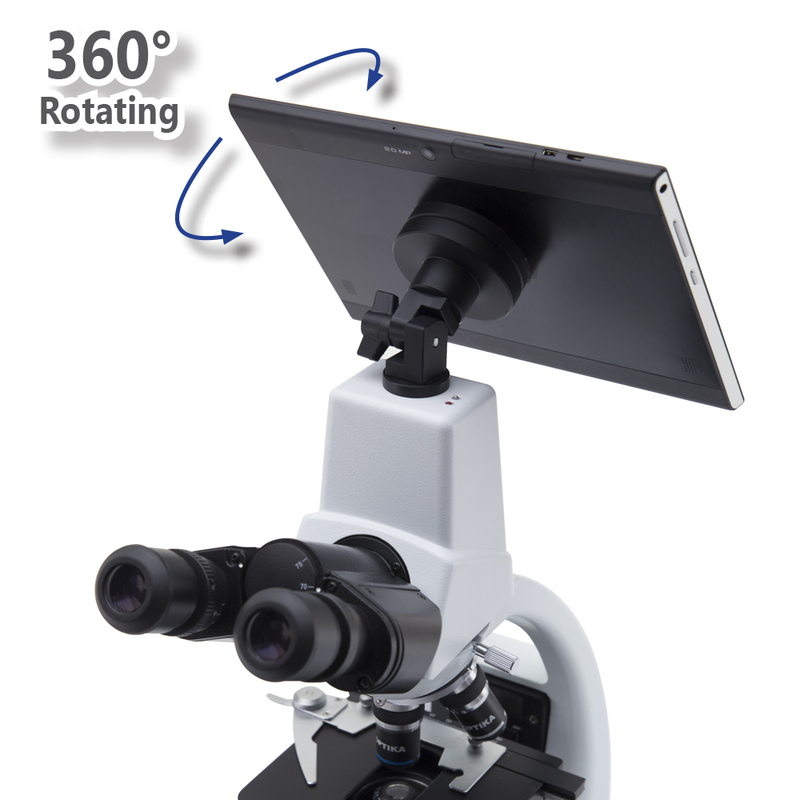 It provides a reliable and comfortable solution for open discussion: 360° rotating and tilting tablet, easily detachable, that can be used as a laptop. 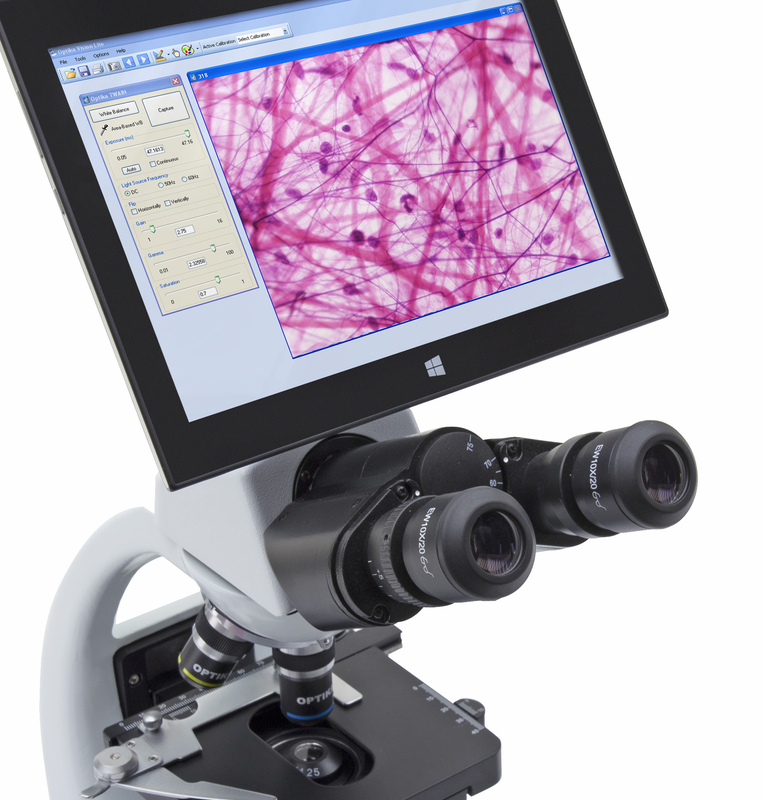 combining high-end optics with innovative digital technology for microscopic imaging. 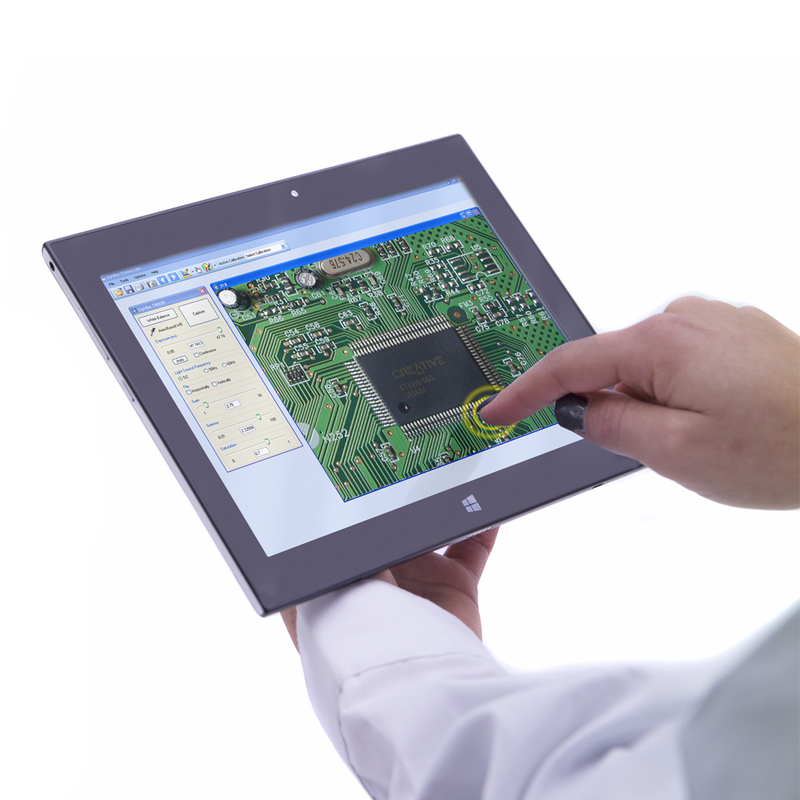 B-190TB includes a 3MP camera with a 10.1” Windows tablet. 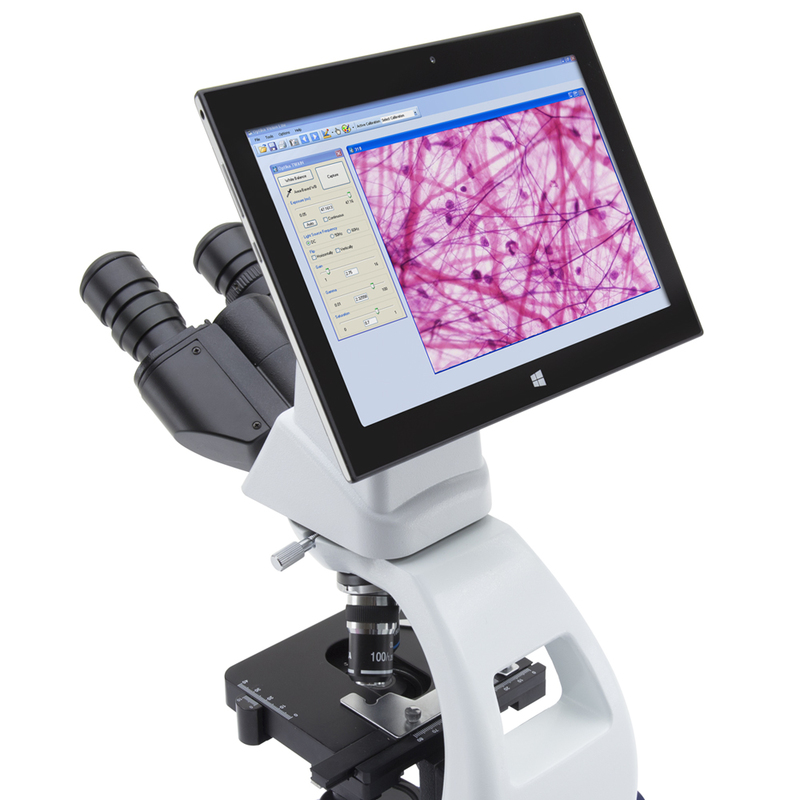 View, capture, analyze and share your images with simplicity and reliability. Use it as a laptop PC! 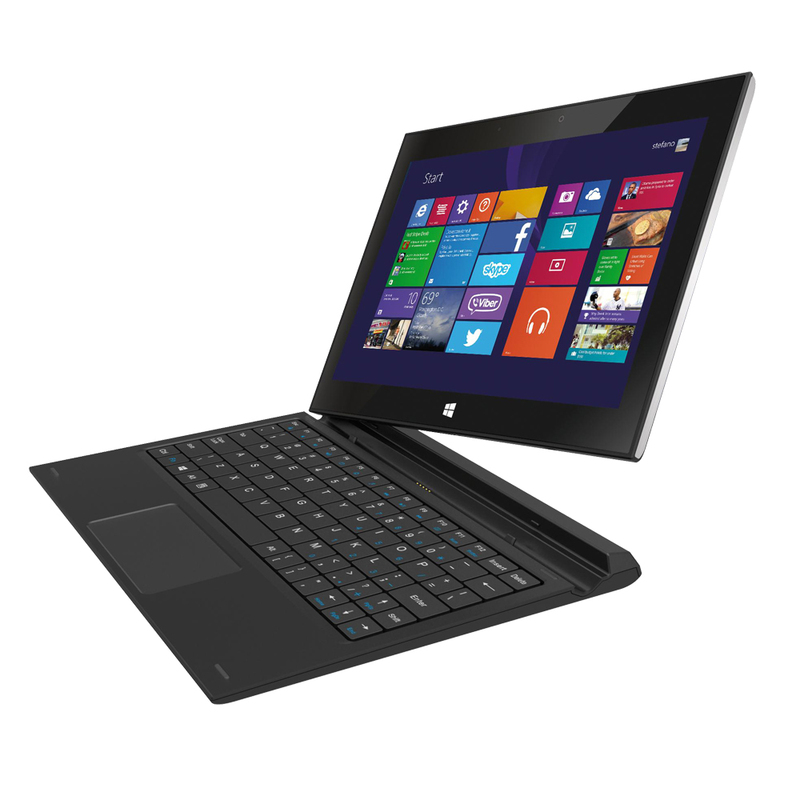 Intel Quad-Core processor, Windows 10.
as the tablet can be recharged during use. 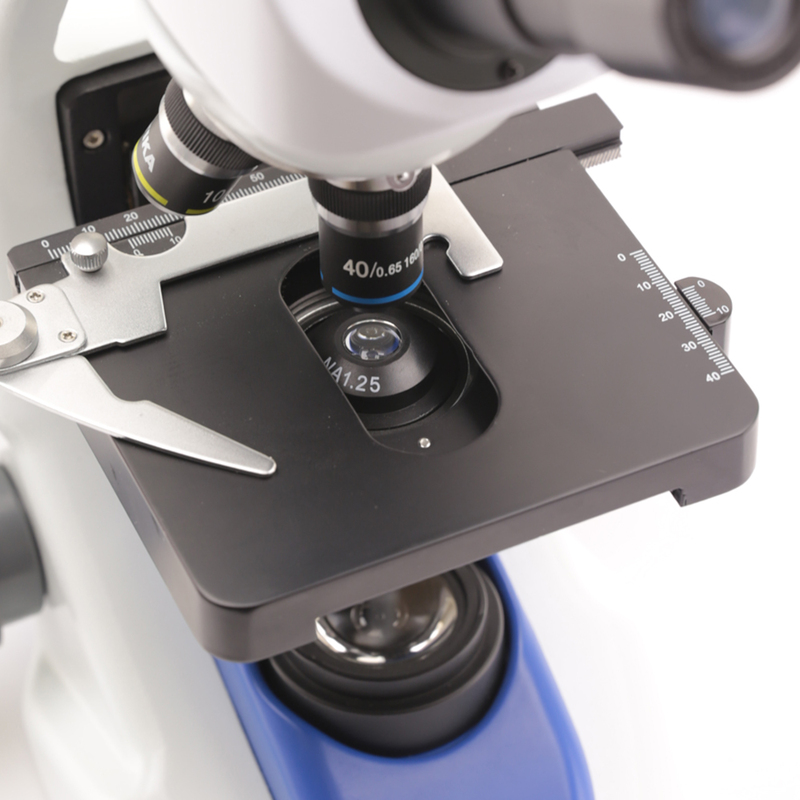 A special holder allows to easily attach the tablet to the microscope and freely rotate it. 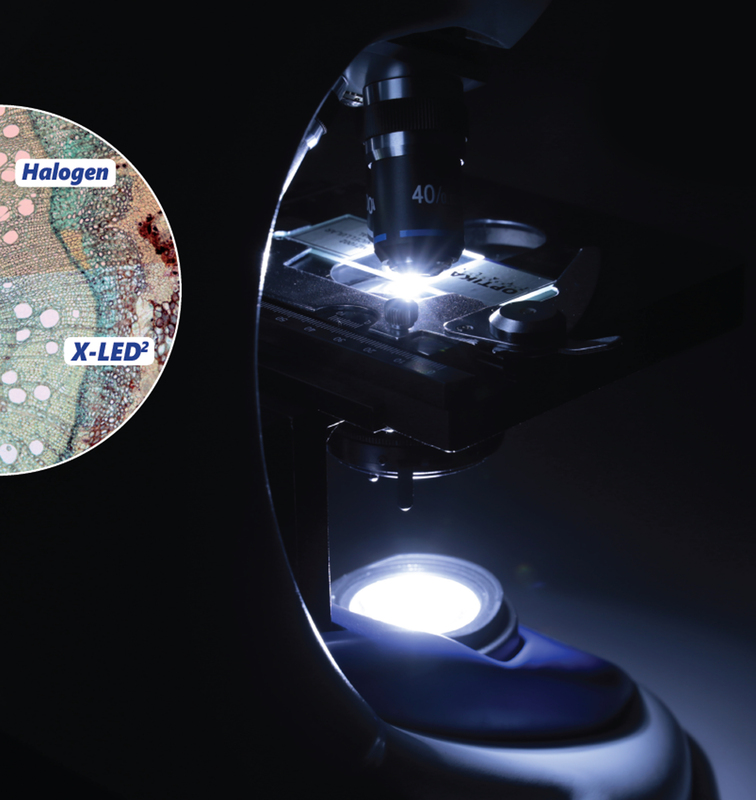 A special design of the lens in front of the LED gives a very high light intensity, while ensuring optimal uniformity of illumination on the whole field number. 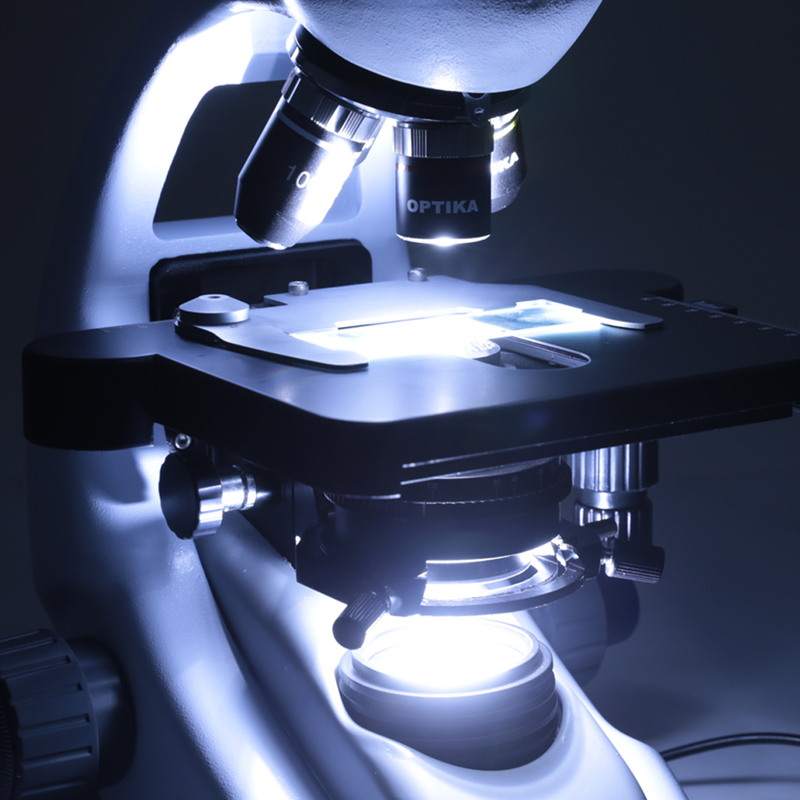 Relevant money & energy saving thanks to the incredibly low energy consumptions allow you to cut the electricity bills by 90%! The electric consumption (3 W only) proves thehigh efficiency of this system: incredibly high light intensity combined with low consumption. Get all the controls and features common to higher level microscopes: translating stage, binocular or trinocular head, coaxial focus knob, adjustable condenser, and 1000x maximum magnification (standard). 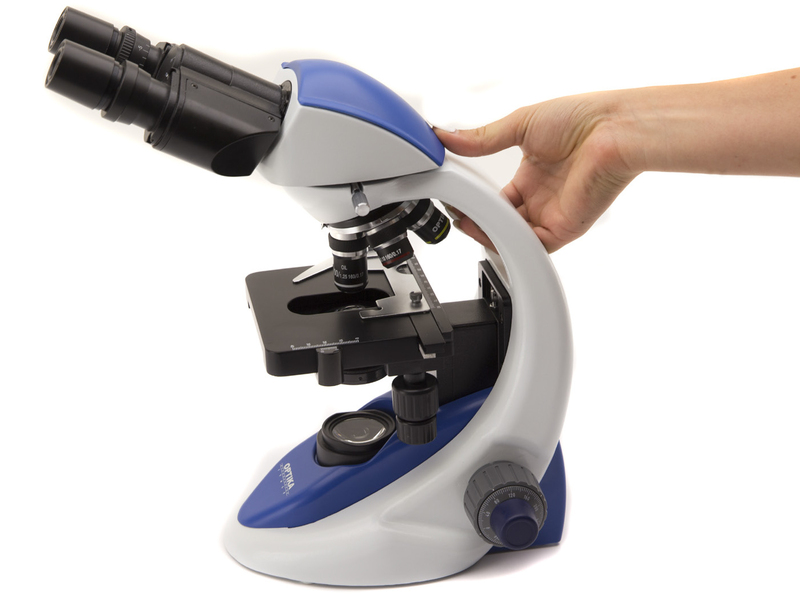 An extremely simple but well equipped solution, in a modern and ergonomic design. The original design of B-190 series is based on robustness, yet keeping the extreme portability of the instrument, with a dedicated handle on the back. The built-in LED illuminator and the patented version with Windows tablet improve the reliability of one of the best-sellers of OPTIKA in the educational field. Advanced monocular microscope up to 1000x total magnification, with oil/water. The exclusive X-LED2 provides unmatchable performance for powerful and uniform illumination. 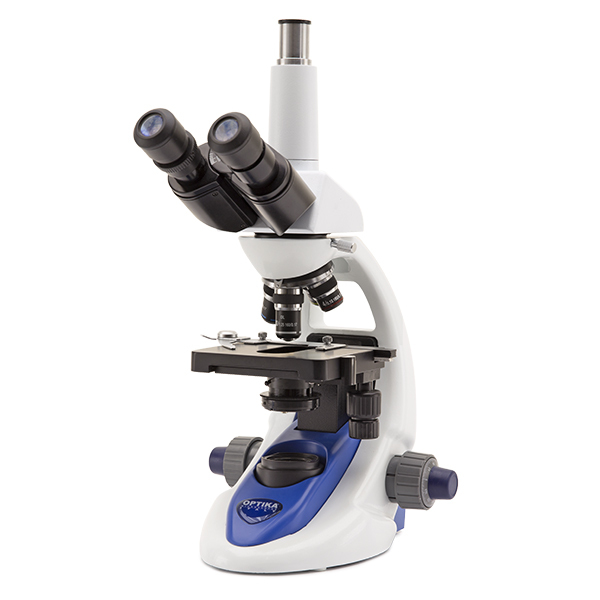 Advanced monocular microscope up to 600x total magnification. The exclusive X-LED2 provides unmatchable performance for powerful and uniform illumination. 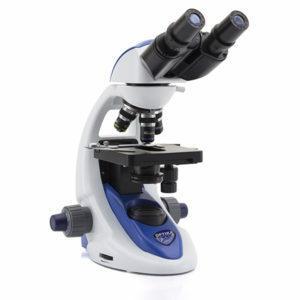 Advanced binocular microscope up to 1000x total magnification, with oil/water. The exclusive X-LED2 provides unmatchable performance for powerful and uniform illumination. 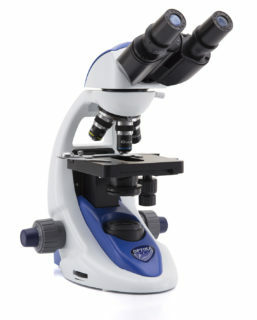 Advanced binocular microscope up to 600x total magnification. 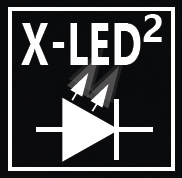 The exclusive X-LED2 provides unmatchable performance for powerful and uniform illumination. 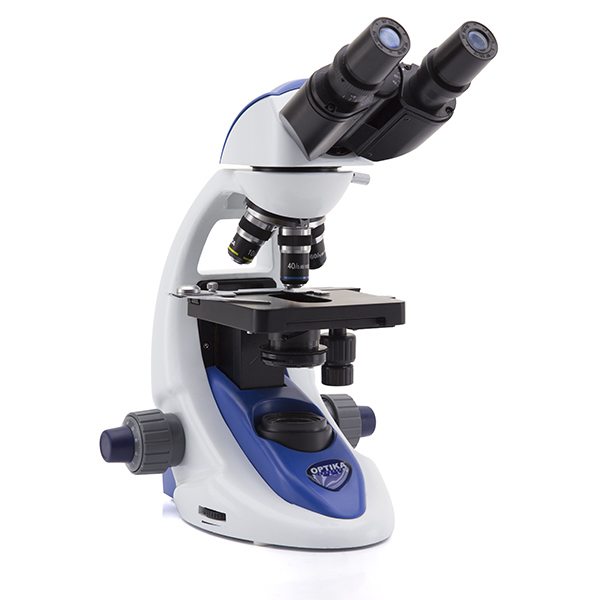 Advanced trinocular microscope up to 1000x total magnification, with oil/water, mechanical stage and exclusive X-LED2 for unmatchable performance for powerful and uniform illumination. 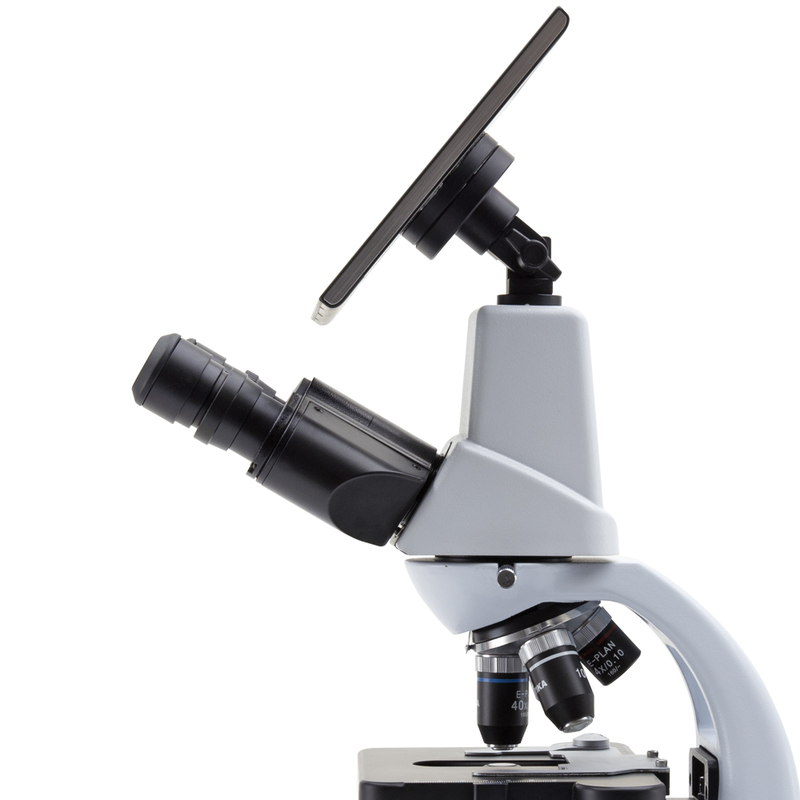 All the OPTIKA cameras can be easily mounted and used straight away. 3.1 MP Built-in camera and 10.8” Windows tablet PC up to 1000x total magnification, mechanical stage and exclusive X-LED2 for unmatchable performance for powerful and uniform illumination. Some application examples showing the extreme versatility of B-190 Series. 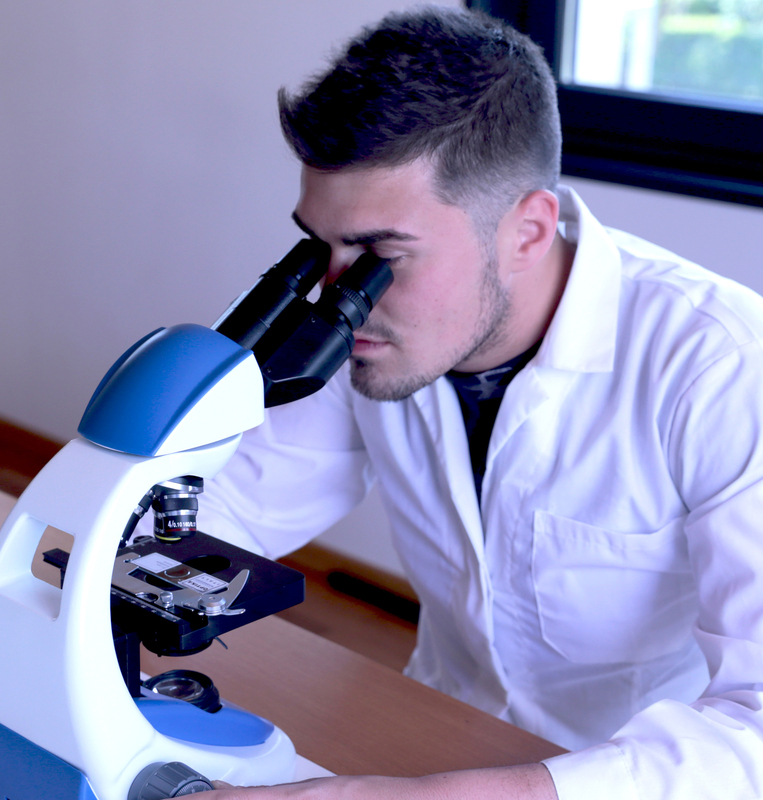 Application in education, biology, botany and simple material analysis, where all the samples are prepared on standard glass slides.